C&G Services passport training scheme is a way of ensuring that contractor personnel are trained and assessed to a minimum safety level. This training course is designed to train operatives to meet the standard and receive the CCNSG Passport Card. This training course is designed for any person who in the normal course of their work is required to carry out Manual Handling tasks. This training course will enable delegates to have an overview of how to carry out Manual Handling operations safely and efficiently with in their areas of responsibilities. On successful completion of this training course delegates should have sufficient information as is necessary to carry out Manual Handling tasks safely and efficiently. Experienced Telescopic Material Handler operatives who are medically fit, and need to operate a Telescopic Material Handler during the normal course of their work. To update candidates with the skills and knowledge needed to operate a Telescopic Material Handler safely and efficiently in the normal course of their work. On completion of training candidates should be able to operate machinery and attachments safely and correctly and in accordance with the manufacturers hand books and accepted good practice. I.e. HSE, Guidelines and Codes of Prac-tice/Systems of Work. Who is this IOSH Managing Safely course for? Managers and supervisors from all industry sectors who require a broad based knowledge of health and safety and safe systems of work. The course is designed to give Managers and Supervisors all the information they require to handle Health & safety in their teams. This course will give staff at management and supervisor level the knowledge to fulfil their responsibilities in handling resources and risk. The two day first aid at work requalification course allows first aid at work qualified staff to re-validate their certificate for a further 3 years. Attendees must have a valid (not out of date by more than 28 days-recommended) first aid at work certificate. To provide candidates with the necessary updates and refresher training, through theoretical and practical training sessions. 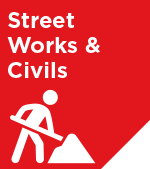 This interactive session is designed to prepare Street works Supervisors for the techniques required for the reassessment and renewal of their Street Works Qualification Register (SWQR) card. To provide certificated Street Works Supervisors with essential up to date information and reassessment techniques required to successfully pass their reassessment. On completion of this preparation course, experienced Street Works Supervisors will have a greater understand of the process and methodology required to successfully undertake reassessments. This Streetworks Re-assessment Preparation For Operatives course is designed to prepare Street works Operatives for the techniques required for the reassessment and renewal of their Street Works Qualification Register (SWQR) card. To provide certificated Street Works Operatives with essential up to date information and reassessment techniques required to successfully pass their reassessment. On completion of this preparation course, experienced Street Works Operatives will have a greater understand of the process and methodology required to successfully undertake reassessments. Who is the CCNSG Renewal course for? This passport training scheme is a way of ensuring that contractor personnel are trained and assessed to a minimum safety level. This course is designed to update operatives to meet the standard and to renew their CCNSG Passport Card. Who is this Streetworks For Operatives course for? This course is designed for operators required to work in line with the national standards for the excavation and rein-statement of openings within the highway and safety at Street works and Road works Code of Practice. This Streetworks for Supervisors course of training and assessment is designed for Supervisors and Managers who need to cover units 001 + 010 – 014+016 and who need to monitor works in line with the national standards for the reinstatement and openings within the highway and safety at Street works and Road works Code of Practice. To provide Supervisors and Managers with the operational knowledge required to effectively monitor street works operations, in line with the requirements of the New Roads and Street works Act 1991 and associated codes of practice. Supervisors and Managers will have demonstrated their ability to monitor Street working actives in line with standards and codes of practice. Certification for successful Candidates will be awarded by the City & Guilds and registered with SWQR. This practical training course is designed for novice operators who are 18 years of age or over, who are medically fit, and need to operate a telescopic handler and attachments during the normal course of their work. To enable participants to acquire the skills and knowledge needed to operate telescopic material handlers safely and efficiently. On completion of training, operators should have an accepted knowledge of the legal and safety duties, and be able to operate telescopic material handlers in accordance with the manufacturers guide lines and accepted good practice. Working Safely is a one day course for staff from any sector wishing to gain a recog-nised certificate and a thorough grounding in the essentials of health and safety. Candidates will be able to understand why health and safety is important and be able to apply that knowledge in the workplace. To develop an awareness of the basic knowledge and skills needed to work safely in an organisation. The course concludes with a formal assessment of skills and un-derpinning knowledge. With successful Candidates receiving a certificate from IOSH. This refresher course is designed for site managers who have previously completed their SMSTS course and need to renew their certificate. You can undertake the refresher course within 6 months either side of your SMSTS pass date. At the end of this refresher course candidates will have an updated knowledge of current regulations, legislation and safety related topics. This course will require candidates to demonstrate their current health and safety knowledge resulting in the award of the Site Safety Plus certificate for Site Management Safety Training Scheme (SMSTS). The Driver Certificate of Professional Compe-tence (Driver CPC) is a qualification for professional bus, coach and lorry drivers. It has been introduced across Europe with the professed aim of improving road safety and helping to maintain high standards of driving. Professional drivers must do 35 hours of periodic training every 5 years to keep your Driver Certificate of Professional Competence ( CPC ) to drive a lor-ry, bus or coach. To ensure that candidates are provided with the knowledge needed as professional drivers to continue to perform their duties safely. Candidates will take part in theoretical training and discussions relating to Rules and Reg-ulations affecting professional drivers and Safety and Security. DCPC Road Traffic Accidents and Fire Awareness. The Driver Certificate of Professional Competence (Driver CPC) is a qualification for professional bus, coach and lorry drivers. It has been introduced across Europe with the professed aim of improving road safety and helping to maintain high standards of driving. Professional drivers must do 35 hours of periodic training every 5 years to keep your Driver Certificate of Professional Competence ( CPC ) to drive a lorry, bus or coach. To ensure that candidates are provided with the knowledge needed as professional drivers to continue to perform their duties safely. Candidates will take part in theoretical training and discussions relating to road traffic accidents and fire awareness, gaining a greater understanding of causation, prevention and where necessary, treatment. To ensure that candidates are provided with the knowledge needed as professional drivers to continue to perform their duties safely. Candidates will take part in theoretical training and discussions relating to Walk Around Checks & Defect Reporting affecting profes-sional drivers and theory and practical exercises for health and safety for drivers. This course of training and assessment is designed for Supervisors and Managers who need to monitor works in line with the national standards for the reinstatement and openings within the highway and safety at Street works and Road works Code of Practice.